Hejera, 50, lives in Mazar-e-Sharif. She has six children—three sons and three daughters. 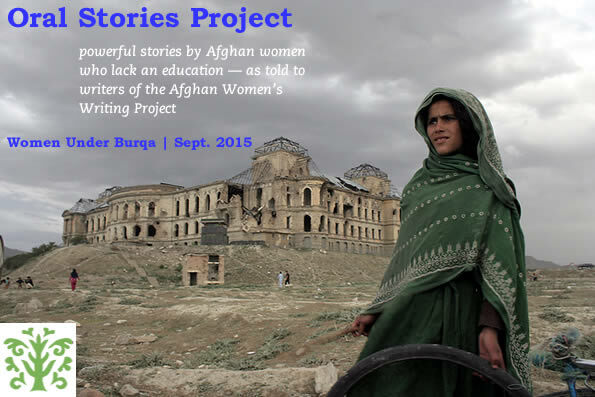 Mazar-e-Sharif– I know women have a lot of rights under the constitution of Afghanistan. They have the right to go to school, to become literate women, to study and be independent in their lives. Yet women always spend their time at home. I stay all the time at home, cooking, baking, laundering, and doing all the house chores. I cannot do anything else because I am an illiterate woman. My parents would not allow me to go to school. They worried about me getting killed or raped. I was not allowed to go outside alone. I am still not allowed to go out alone but I go with my daughter. Women should be allowed to be educated and to work to become more open-minded and helpful to their children, their society and country. I did not have a choice in my life partner. But now I have three daughters and I want them to choose their life partners themselves. I had a dream of becoming literate, working in a company or becoming a teacher to serve my people. According to Islam, women and men are equal and women are allowed to be educated. The government should provide programs to help women like me, illiterate women, to work and become productive in society and to help their own families as well.